From breath-taking rollercoasters to serene beaches, exotic wildlife to world-class entertainment, Florida has it all. It’s a fabulous destination for a family holiday, but you needn’t pay a fortune – even during the busy summer months. If you’re travelling on a budget, this cheap Florida holiday might be just what you’re looking for. Fly to Orlando, pick-up your fully-insured minivan and drive to your villa accommodation. Enjoy two weeks of Orlando theme parks and sunshine – all from just £895 per person. If this doesn’t appeal, contact us today for a tailored quote. 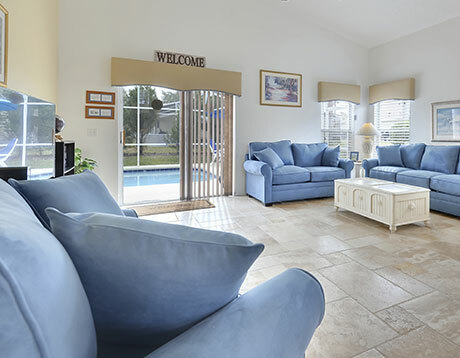 We have years of experience booking Florida holidays at excellent prices. Orlando flight prices take up a significant chunk of any Florida holiday budget. 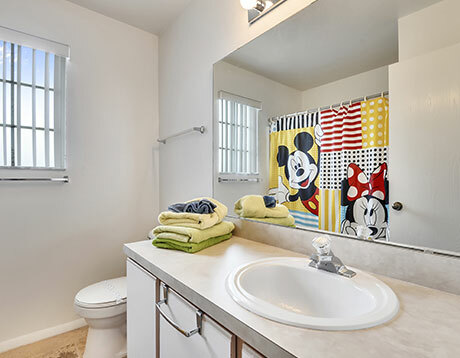 Keeping the price down is crucial to achieving a cheap Orlando holiday in July. Can you leave in the first week of July? Peak fares kick in around mid-July, so departing at the start of the month will save you a significant amount of money. Thinking of leaving between 8th-15th July? Flight prices are still decent, even on direct routes. Need to leave after the 15th July? For best value, fly indirect from Heathrow. One change en route will add a couple of hours to the journey but offers a substantial saving (often over £200 per person). Mid-week departures are better value than weekend flights. Avoid Fridays and Saturdays if possible. Fly Tuesdays and Wednesdays for outstandingly good prices. Heathrow has the most departures. A cheap Florida holiday is achievable even at the end of July from Heathrow as long as you depart mid-week. Manchester, Glasgow and Edinburgh also offer excellent fares even on peak July dates if you change once en route. The journey is two or three hours longer but prices are excellent. Usually we can offer you a good fare to Orlando International but, occasionally, Tampa offers better value. The drive to your accommodation is usually 40 miles longer. What are you expecting to pay for your July Florida flights? Prices of £1000 or more per seat are common. Enquire now and, as long as you can follow some or all of the suggestions above, peak July dates are available for as little as £650 per adult and £500 per child. Book your cheap July Florida flights on deposit with full ABTA and ATOL protection. We don’t compromise on quality when it comes to Florida flights. We book with the major airlines such as Virgin, United and BA. We achieve cheap Orlando holidays by constantly monitoring flight prices and booking seats at the best possible fare. Patience is key. Florida flights are released 11 months before departure, but we don’t necessarily book them straight away. We check fares daily and book your seats as soon as the best price is achievable. You could do the same if you had all day to look at airline websites. We save you the bother. Florida car hire is good value and there's really no need to economise in this area. We shop around for the best rates anyway and we book your car when one or other of the suppliers are on sale. With Dollar, Alamo, Hertz, Avis and Budget all in competition, we can offer you a great deal. Feel free to book yourself a smart SUV or a convertable within your cheap July Florida holiday. We don't try to economise on the car hire insurance package. It's not worth the bother. We book the full package of insurance as standard and can add multiple drivers for a very small fee. This cheap Orlando holiday includes a fully-insured 12-seat minivan. But a couple of midsize SUVs (UK equivalent RAV4) are the same price. 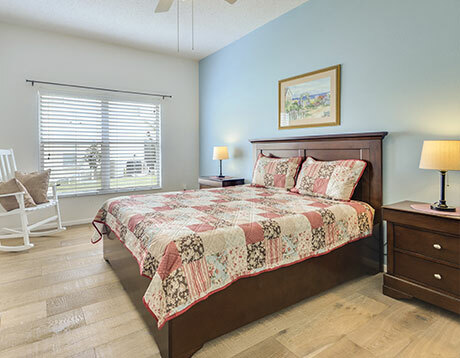 Excellent accommodation is a vital part of any Florida holiday. We don’t compromise – we only book good-quality villas with reputable suppliers. 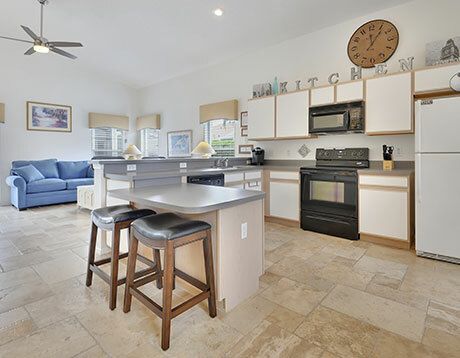 We achieve great value by booking far in advance, allowing us to reserve the best Florida accommodation at the best prices. Most resorts have a handful of beautiful villas at a competitive price. Early bookers snap these up quickly so don’t delay. 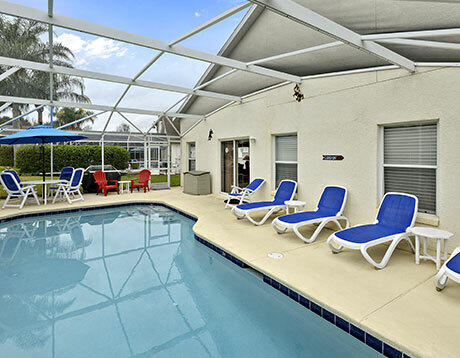 This cheap July Florida holiday includes villa accommodation at Hampton Lakes in Davenport. We can also achieve great rates at other popular Orlando resorts including Emerald Island, Highlands Reserve, Vizcay, Windsor Palms, Solana and Watersong. We’re already booking summer 2019 and 2020 Florida holidays so get in touch now if you’re looking for a cheap Florida holiday in July. No Florida holiday is complete without experiencing the magic of Disney World and Universal Studios. We sell all popular Florida attraction tickets, including Disney’s 14 Day Ultimate Ticket and Universal’s 3-Park Explorer Ticket. We can beat any price you can find on any website. Add attractions to your booking at any time with no further deposit. The sooner you book, the better chance you have of achieving a cheap Florida holiday in July. Book in advance with a deposit of just £100 per person. Balances are due 90 days before departure, allowing you plenty of time to budget. 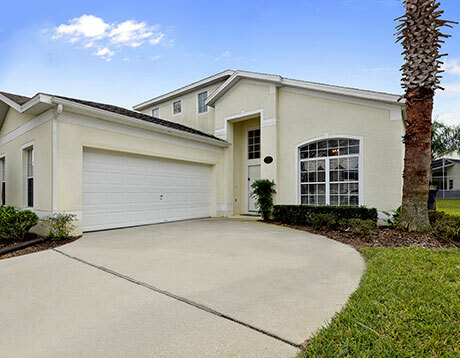 This cheap Orlando holiday includes Florida flights, two weeks in a villa close to Disney and a fully insured vehicle. If your requirements are different, get in touch. Call us on 01934 319 851 for the best value package holidays to Florida. Or complete our quick online enquiry form for a tailored quote by email. All of our cheap July Florida holidays are ATOL and ABTA protected.